It’s a tough thing to lose a parent, but my mom lived a long, full life. She was ready to go when her time came, and I was ready for her to go. 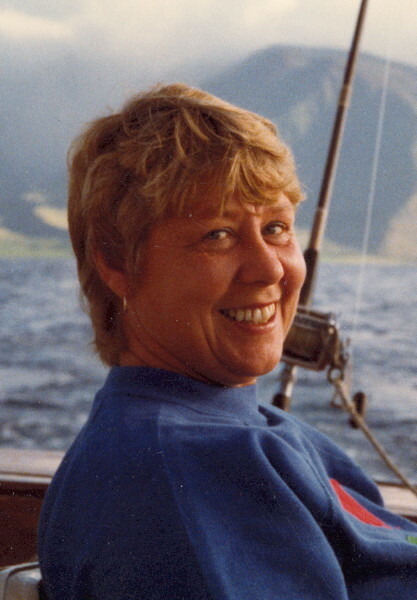 It’s been many years since I’ve been able to spend time with her on Mother’s Day, and as each additional year passes, instead of getting easier, I find I miss her more and more. I am living a charmed life lately. Really. It’s a bit overwhelming. How do you adequately thank someone for loving you? Pequenita has been dishing out so much affection for me that I am almost feeling smothered by her. At the same time, who can resist the charm of a cat who repeatedly seeks a perch somewhere on top of you? 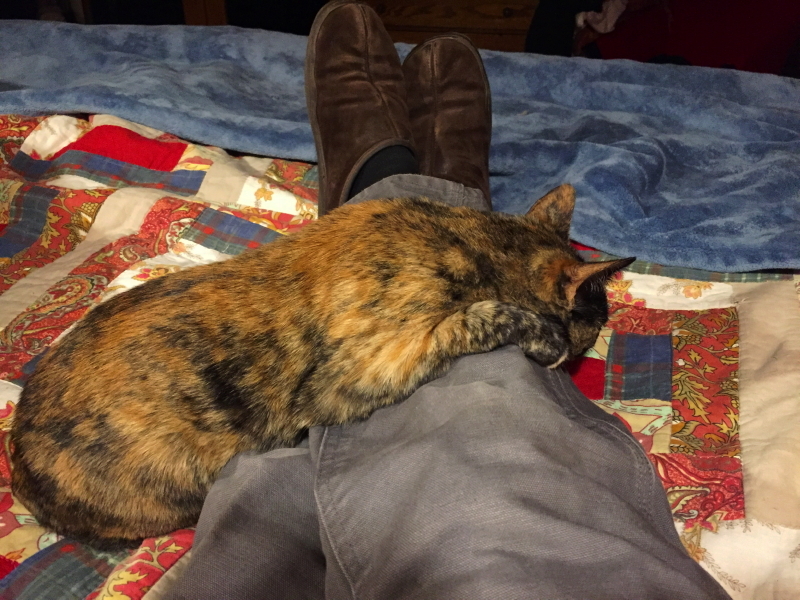 She can be so insistent for attention when I get home from work that I have to pick her up to protect my legs from becoming her scratching post. If I make the mistake of choosing to lay down with her for a few minutes at that hour of the day, I usually become the victim of an unplanned nap. She oftentimes finds a suitable spot on my legs and joins me for a snooze. My lovely wife has been spoiling me with extra special attention by choosing healthy options for my goal of eating a reduced sugar diet, and tweaking her bread recipes to incorporate more diverse grains with extra substance. Lately I have a thing for millet in bread, along with a fondness for wheat berry and sunflower nuts, in addition to the usual whole grains. Yesterday, Cyndie nailed it with a couple of excellent loaves, hot out of the oven at dinner time, while she was simultaneously whipping up some fresh homemade pasta to serve as a base under her delectable leftover beef bourguignon that was recently pulled from the freezer. It certainly feels like being loved, to be fed like that. My mom gave Cyndie some special training on how to make the bread I grew up with. Talk about love! Last night, while looking at the beautiful loaves she created, I suddenly noticed an insight about how my father must have felt about the bread mom baked for him throughout their life together. Mom told us stories about how she first learned to bake bread when they were newlyweds stationed in a fire lookout tower in Glacier National Park. By the time I was born, over 10-years later, she had definitely mastered the craft. 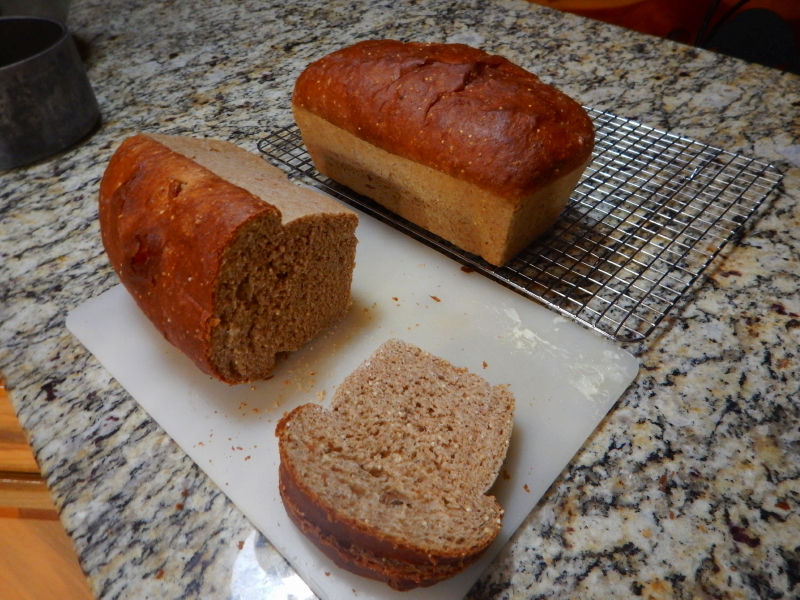 Her homemade bread was a staple in our kitchen. Dad was a stern scolder when we didn’t cut straight slices. We toasted it and fried it, and I recall Dad used a slice to soak up the juice on the meat platter when the menu involved steak. My parents weren’t very demonstrative of their love, but looking back, those years of homemade bread reveal a pretty good version of it. Now I am blessed with the same. It is overwhelmingly lovely.